Back to our gifts series after an extended delay. To catch back up, in part 2 I was stating that the Spirit-gifts will operate in accord with the Gospel and never in contradiction to it. Paul describes to us that the gifts of God will seek to provide edification to believers and clarity to unbelievers (what they do). Now, I’d like to spend a few paragraphs sharing about how they accomplish the desires of the Spirit. So, a basic question to answer is simply, what are the gifts for? Without entering a long discourse, we see the Apostle’s teaching repeatedly saying that the gifts are meant for God’s power to be demonstrated in human weakness. In other words, they are meant to meet needs and testify to the glory of God. It seems simple and beautiful enough, and it is. However, don’t miss the part of God involving human agency. The Lord wants his people to be an active part of them. This isn’t magic fairy dust he is sprinkling on the Church. This is transformed people living and experiencing the active power of God building others up. This is Heaven moving outward and pushing back the Hell-gates. Accomplishing this purpose, therefore, the Spirit-mediated gifts flow into the church body through people who are faithful to God and faithful in service to others. Where can you see the gifts operate? Right where those who love God are serving others because that is the point where they flow into the Body from Heaven. I believe it is one of the most visible evidences of how “God-is-with-us” and where we see the activity of Immanuel himself. enhance one’s appreciation, etc. Notice two key words in this definition — impart & enhance. Continuing with the Italian simile of the Lord’s church being like a wonderful minestra, so the Holy Spirit’s work through his imparted gifts enhance the life and vigor of his people and signify his active presence. Zest does not make a soup, but it does demonstrate that there is something different and wonderful about what is in the bowl. 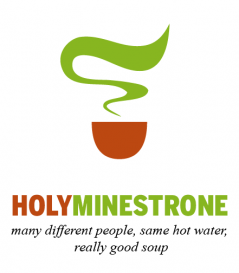 In this series, I would like to briefly add (if possible) one flavor at a time to magnify our appreciation of what the Lord is doing through his church while understanding that there is still a great deal for all of us to taste and learn from the Holy Spirit as we see him working. This is such an easy thing to confuse in different church circles. It’s an issue of priority. The Gospel is primary, the gifts are secondary, and both are necessary. The most magnificent part of the Gospel is that God gave himself for us in love on the cross and then gives himself to us in life through the Holy Spirit. Therefore, the first thing that needs to be clearly emphasized is that the very Spirit of God is both given and then the giver — as he is pleased and finds pleasure to operate for his glory. 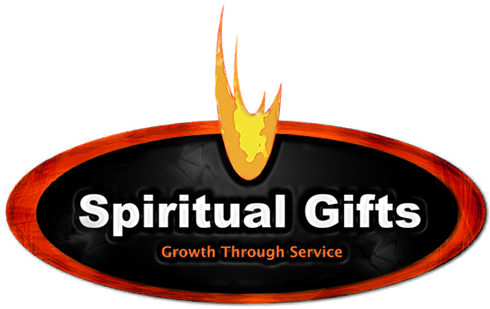 The one gift that I receive is the Spirit, and he has the gifts that he imparts when he desires to do so. There are two awkward claims that Christians often make. The first claim begins with, “I have this-or-that gift…” And what we generally mean is that we’ve experienced the Spirit’s blessing and enabling at specific occasions and in certain ways. However, the awkward part of that phrase is that it makes us sound like we are the new owners of the gift to release at will. In the Gospel, I have Christ and he has me. Therefore, my identity is built in Jesus and is not found in a grace-gift that I might use or one that I think might correspond with my personality. If I find my identity in a gift, I miss the Spirit. It is common to find Christians spending a good amount of time wondering, debating, and even arguing whether a person “has” a certain gift or not. Take the pressure off. Make sure you or the person in question has Christ and is fulfilling his royal law. You know, the law that says love God fully and your neighbor as yourself. The Spirit has the gifts. He is the owner and he wants to give them, but remember, those gifts represent him and the Truth so he will be very careful, strategic, and sometimes surprising in how he imparts them. The second awkward (and I believe, incorrect) phrase that I’ve heard at times is, “Unless that gift (whatever one the Christian has in mind) is manifested, the Holy Spirit isn’t there.” Now, I know that the phrase isn’t spoken exactly in that way, but it goes something like that depending on the context. I’ve heard it recently and also through the years in ministry in different forms — but that’s the gist of it. Usually, the person has a pet-gift that has grown into an agenda where they would like to see an entire church formed around it. They have equated much if not all of the Holy Spirit, doctrine, and the work of God with that one gift. It becomes the litmus test for all service and fellowship. Again, the problem is one of identity. The Apostle Paul corrected the Corinthian believers strongly saying, “One Spirit, many gifts.” Their error was an inordinate focus on one particular gift and therefore an abuse of the Spirit himself. So, the temptation we face is to identify so strongly with the expression of a gift that we build the Gospel around it. In effect, we make the gift and our experience dogmatic by saying, “Manifest this gift and then you’re really in God’s family.” No, the Gospel tells us to manifest repentance. We should be more concerned about what kind of vessel we are than what kind of gift we are manifesting. Please understand that I’m not picking on any specific church. There is the tendency for Christian communities to gravitate to a one or two-gift-only practice. Some churches concentrate on a couple of sign-gifts while others think that the only two gifts in operation are preaching and listening with an optional third gift of rear-end endurance & comfort depending on your persuasion. I’m writing principally to assist our church to be Gospel-centered and Spirit-guided. We’ll talk more about how the gifts are Gospel-guided in the next article.